These three weeks included nine days of a very hectic India trip during which not much reading happened. I was able to get through two books over this period partly because I was determined to and partly because the books that I chose for these weeks were so damn funny. 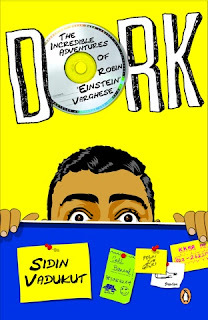 I am talking about the first two books in the planned Dork trilogy by Sidin Vadukut. You can find out more about the books here. The author's blog, and his twitter feed can also serve as a constant source of funnies alternating with insights (sometimes both clubbed into one). juuuuummmp, a photo by ☼ Helder on Flickr. The folks over at flickr are taking submissions for your best shot of 2011. Even if you don't want to submit anything I would recommend spending some time with the submissions, here. The pic here is just one of many interesting ones. 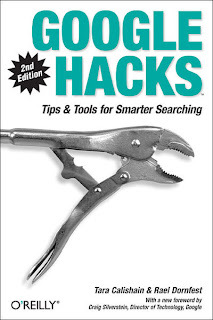 For week five I picked up the much recommended Google Hacks by Rael Dornfest. It ended up being my book for week six too since getting through the book involved some do-it-yourself stuff on the laptop as well. 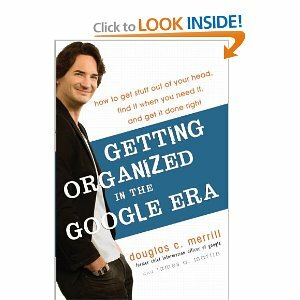 So on with my book for this week, the promisingly titled Getting Organized in the Google Era: How to Get Stuff out of Your Head, Find It When You Need It, and Get It Done Right by Douglas Merrill (former CIO of Google) and James Martin. Untitled, a photo by SeenyaRita on Flickr. Don't miss the one hiding behind the owner. Thanks to work, and preparations for Deepawali, the second week of my project lasted a couple of days longer than two weeks. But through it all I'm happy that I was able to stick to my rule of devoting only the non-productive time to the book at hand. The book that I'm done with now is "Gandhi An Autobiography - The story of my experiments with truth", which, as I know now, was written in Gujarati originally. The style of the book is very simple and conversational, which makes it an easy read. The author didn't write it in one go, or take too much time out from his daily schedule to pen this. Instead, he tried to complete a chapter or two each week, which makes it easy for the reader to have breaks between chapters (and suited my reading pattern just fine). Deepawali, a set on Flickr. some clicks from Deepawali in 2011. Happy Deepawali :-), a photo by urmilesh on Flickr. I wish you a very Happy Deepawali. May you get to enjoy it the way you like it. my screensaver, a photo by urmilesh on Flickr. looks real nice when it's dark, one more reason for me to try and have album art for all my music. I have been totally swamped at work since I started Week 3, and so I've not made as much progress as I would've liked on the book. Actually, read that as no progress at all. But I am not complaining, since I am enjoying this time at work, nice and interesting. Hopefully I will be back on Sunday with my view on the current book and my pick for the next week. Week 3 started on October 2nd, the birthday of one of the most well known Indians. So I decided it would be the right time to get to a book that has been on mylist for some time now. 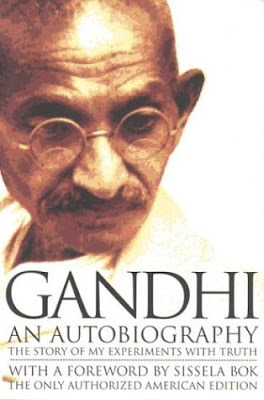 The book is "Gandhi An Autobiography - The story of my experiments with truth". 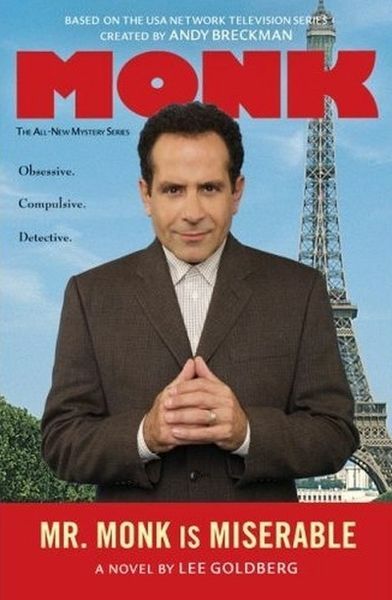 Monk is one of my favourite TV characters, and one of quirkiest detectives that you will ever see. His cases are always a mix of good fun (for the viewer) and great detective work. As I have discovered after buying it, this book is not the first but the seventh in the series of Monk mystery books, so I assume they have had some success, thus patting my own back for this impulse buy being a good one. I have seen a lot of characters make their way from books to TV and cinema screen, this is the first time I will be following someone the other way round (full disclosure, I started on Sunday and I am already pretty deep into it). It looks like fun. So week 1 of The 30 Week Project was successful, partly because I stuck to public transport, mostly because the book that I was reading held my interest. 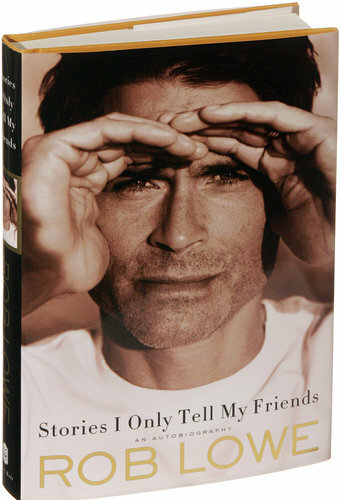 I had no idea who Rob Lowe is till I'd seen Sam Seaborn. Without having seen too much of his work, I can say with certainty that Rob Lowe would be hard pressed to not put Sam's name forward were he asked to present just one of his roles to showcase his work. As I often tend to do when I like something, I read more about The West Wing and that was when I came to know of his unceremonious exit from the show, the controversies surrounding his video-tape, the early fame and the late blossoming as a dependable and sellable TV star. The stuff that I read was interesting enough to get this book on my reading list when it came out, and I am glad that it did. Starting today, for the next 30 weeks, I will be trying to finish one book each week. By trying I mean that I will be putting all my non-productive time into reading (mostly commute time), without actually going out of my way to meet this imaginary deadline that I am creating. Why am I doing this? Because I want to. Everything doesn't have to have a rock solid, well thought out reason :-) It's just one of those things I have decided to do on a hunch, and I plan to stick to it. ‘Pyar ka Punchnama’ is a movie that I’d been hearing a lot about over the past few weeks, and that scene (rant) from it is one of those that has been shared the most across the time-sink that is my Facebook and Twitter timeline. All that had given me an impression of it being one of the many forgettable comedies that the Hindi film industry keeps churning out, albeit one with a few laughs. Have been hearing a lot of Raghu Dixit lately. Just putting a small post here to let you know that I like what I heard. You should get a listen at http://raghudixit.com/music/ and judge for yourself. I am not sure if Dhobi Ghaat is an apt title for this movie, just 'Mumbai Diaries' would have worked better for me. Or maybe 'Bombay Diaries' since no one in the movie refers to the city as Mumbai anyway, not that I am complaining. Most of our movie experiences depend on two factors - our expectations from the movie and our mood while watching it. This is one movie where these factors become crucial, really crucial. Most of the people watching the movie with me (not just my gang, the entire hall) did not like the movie and were pretty vocal about it (sadly during the movie also), I enjoyed it. This is one movie which wants you to let it be, had no pretensions of being conventionally engaging, does not offer any sort of closure for any of the lead characters, does not have any larger than life characters and does not have any item song (shudder!!!). 'Road to Sangam' is a movie that was on my watch-list for a long time now, but somehow I never got a chance to see it, not least because it did not get a major release. Thanks to the Fremont Main Library that had a DVD, and to the lazy Saturday morning, I finally got to see it.